I have blogged about about IDC here and here. If the eNB is interested in knowing if the device is having an interference issue it can ask the UE to send this message in the RRC Conn Reconfiguration message. 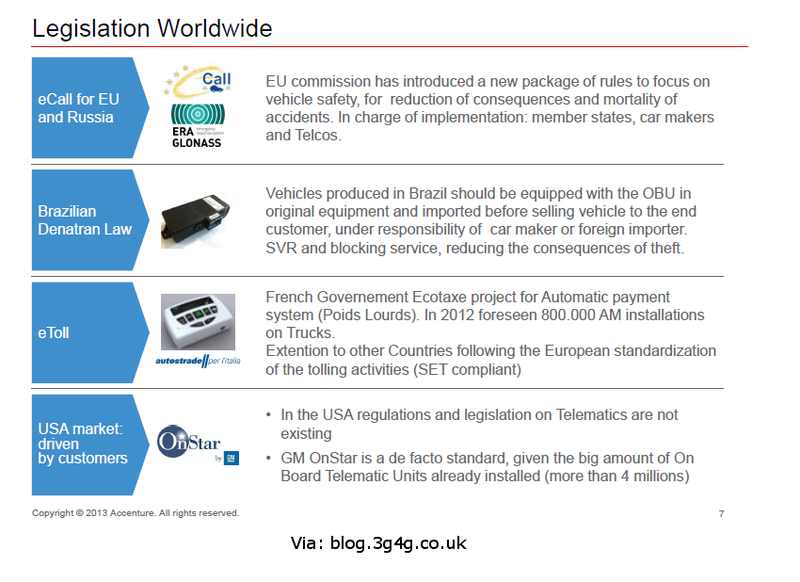 The UE would send the message if it has interference issues. Inter-frequency handover is a good solution in case the UE is experiencing interference. To assist the base station in selecting an appropriate solution, all necessary/available assistance information for both time and frequency domain solutions is sent together in the IDC indication. 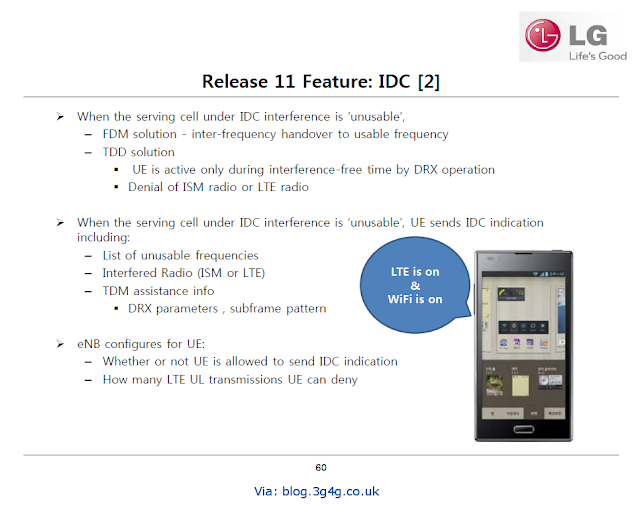 The IDC assistance information contains the list of carrier frequencies suffering from on-going interference and the direction of the interference. 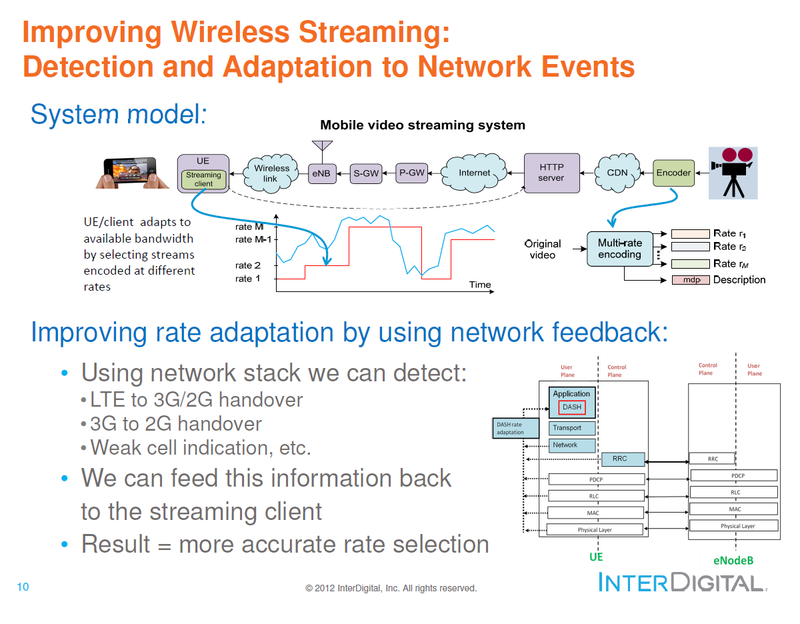 Additionally it may also contain time domain patterns or parameters to enable appropriate DRX configuration for time domain solutions on the serving LTE carrier frequency. 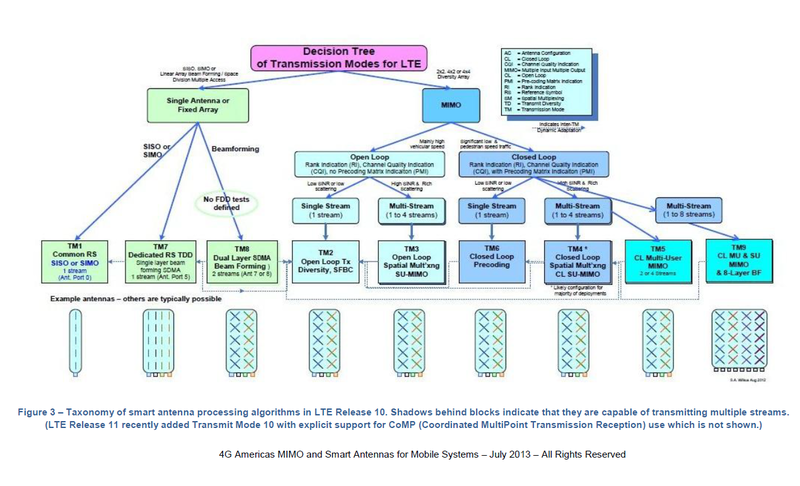 Note that the network is in the control of whether or not to activate this interference avoidance mechanism. The InDeviceCoexIndication message from the UE may only be sent if a measurement object for this frequency has been established. 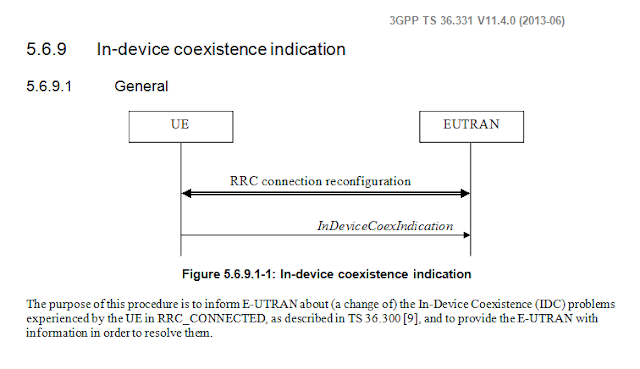 This is the case, when the RRCConnectionReconfiguration message from the eNB contains the information element idc-Config. The existence of this message declares that an InDeviceCoexIndication message may be sent. The IDC message indicates which frequencies of which technologies are interfered and gives assistance to possible time domain solutions. 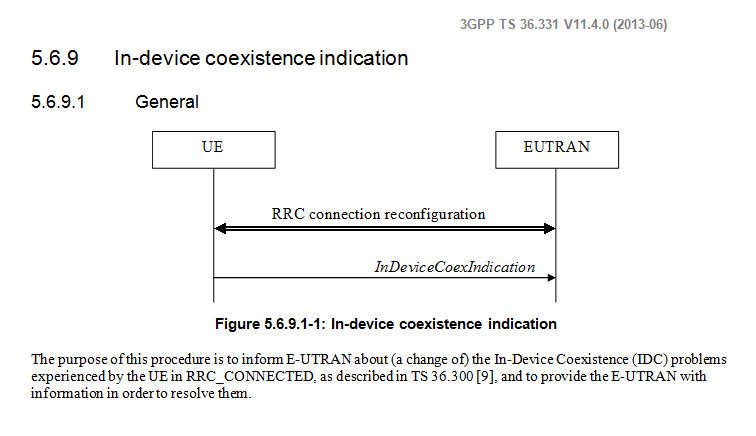 These comprise DRX assistance information and a list of IDC subframes, which indicate which HARQ processes E-UTRAN is requested to abstain from using. This information describes only proposals, it is completely up to the network to do the decisions. 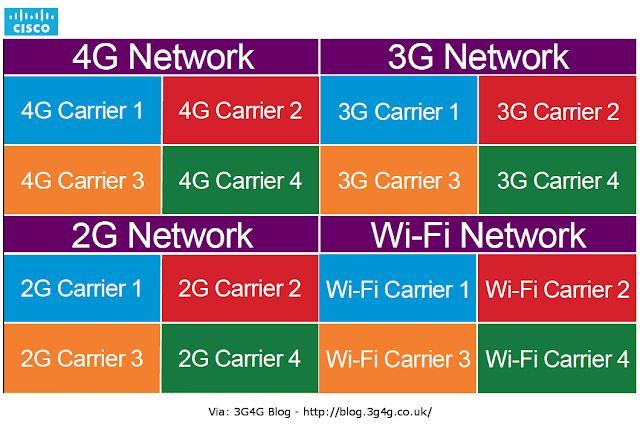 Figure 3 above shows the taxonomy of antenna configurations supported in Release-10 of the LTE standard (as described in 3GPP Technical Specification TS 36.211, 36.300). The LTE standard supports 1, 2, 4 or 8 base station transmit antennas and 2, 4 or 8 receive antennas in the User Equipment (UE), designated as: 1x2, 1x4, 1x8, 2x2, 2x4, 2x8, 4x2, 4x4, 4x8, and 8x2, 8x4, and 8x8 MIMO, where the first digit is the number of antennas per sector in the transmitter and the second number is the number of antennas in the receiver. The cases where the base station transmits from a single antenna or a single dedicated beam are shown in the left of the figure. The most commonly used MIMO Transmission Mode (TM4) is in the lower right corner, Closed Loop Spatial Multiplexing (CLSM), when multiple streams can be transmitted in a channel with rank 2 or more. Beyond the single antenna or beamforming array cases diagrammed above, the LTE standard supports Multiple Input Multiple Output (MIMO) antenna configurations as shown on the right of Figure 3. 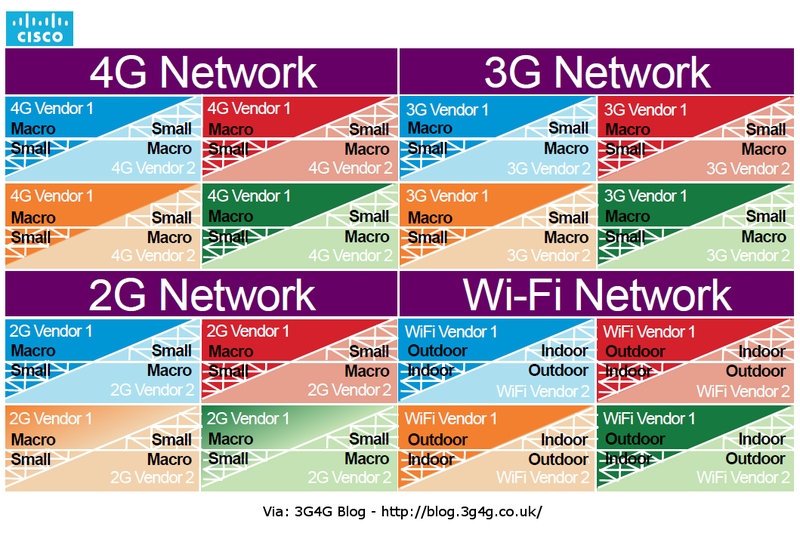 This includes Single User (SU-MIMO) protocols using either open loop or closed loop modes as well as transmit diversity and Multi-User MIMO (MU-MIMO). In the closed loop MIMO mode, the terminals provide channel feedback to the eNodeB with Channel Quality Information (CQI), Rank Indications (RI) and Precoder Matrix Indications (PMI). 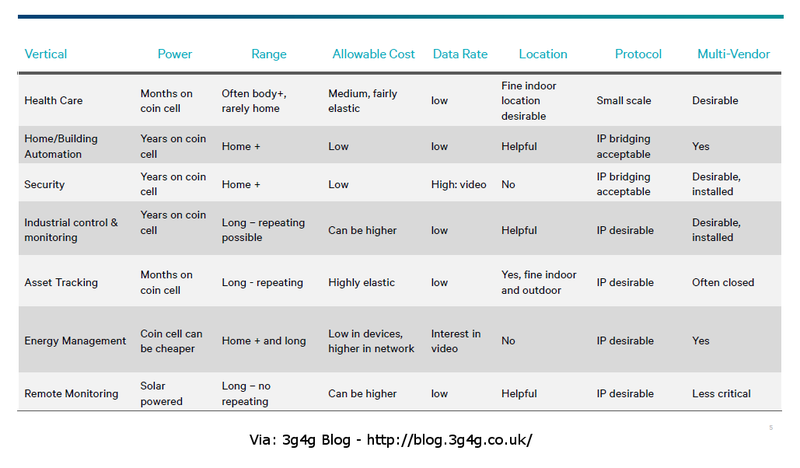 These mechanisms enable channel state information at the transmitter which improves the peak data rates, and is the most commonly used scheme in current deployments. However, this scheme provides the best performance only when the channel information is accurate and when there is a rich multi-path environment. Thus, closed loop MIMO is most appropriate in low mobility environments such as with fixed terminals or at pedestrian speeds. 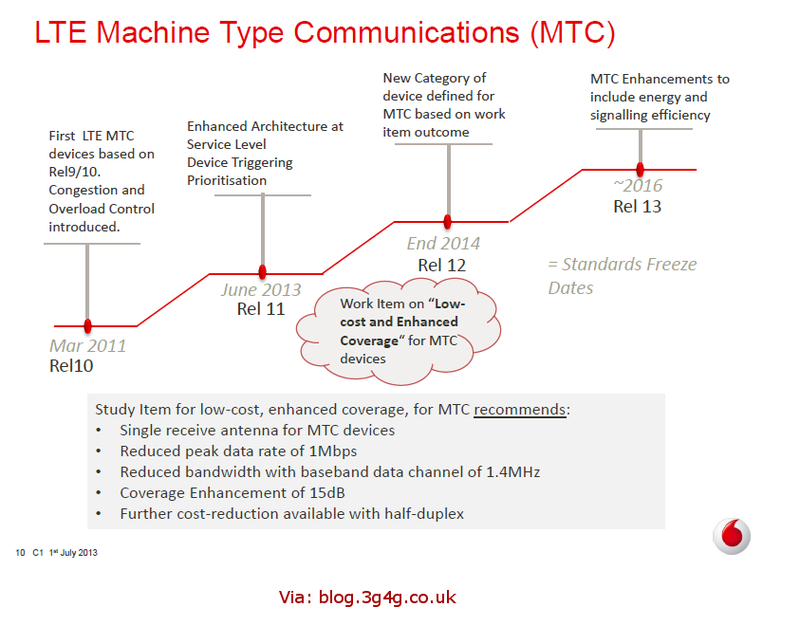 In the case of high vehicular speeds, Open Loop MIMO may be used, but because the channel state information is not timely, the PMI is not considered reliable and is typically not used. In TDD networks, the channel is reciprocal and thus the DL channel can be more accurately known based on the uplink transmissions from the terminal (the forward link’s multipath channel signature is the same as the reverse link’s – both paths use the same frequency block). Thus, MIMO improves TDD networks under wider channel conditions than in FDD networks. 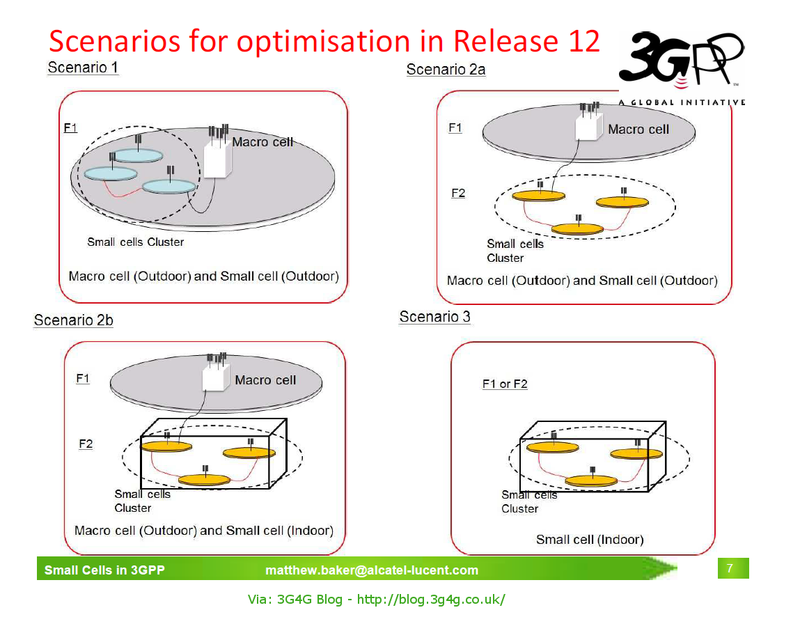 One may visualize spatial multiplexing MIMO operation as subtracting the strongest received stream from the total received signal so that the next strongest signal can be decoded and then the next strongest, somewhat like a multi-user detection scheme. However, to solve these simultaneous equations for multiple unknowns, the MIMO algorithms must have relatively large Signal to Interference plus Noise ratios (SINR), say 15 dB or better. With many users active in a base station’s coverage area, and multiple base stations contributing interference to adjacent cells, the SINR is often in the realm of a few dB. 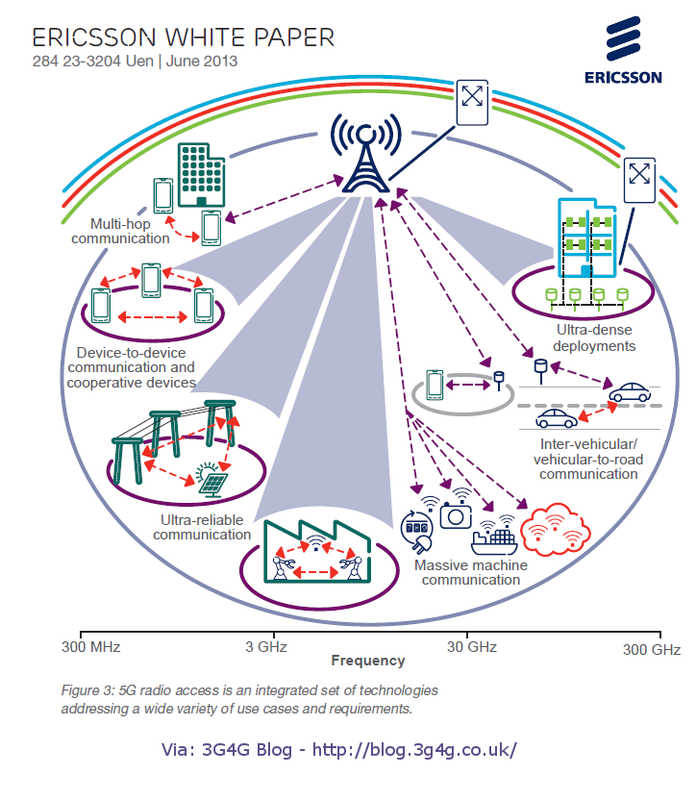 This is particularly true for frequency reuse 1 systems, where only users very close to the cell site experience SINRs high enough to benefit from spatial multiplexing SU-MIMO. Consequently, SU-MIMO works to serve the single user (or few users) very well, and is primarily used to increase the peak data rates rather than the median data rate in a network operating at full capacity. Angle of Arrival (AoA) beamforming schemes form beams which work well when the base station is clearly above the clutter and when the angular spread of the arrival is small, corresponding to users that are well localized in the field of view of the sector; in rural areas, for example. To form a beam, one uses co-polarized antenna elements spaced rather closely together, typically lamda/2, while the spatial diversity required of MIMO requires either cross-polarized antenna columns or columns that are relatively far apart. Path diversity will couple more when the antennas columns are farther apart, often about 10 wavelengths (1.5m or 5’ at 2 GHz). That is why most 2G and 3G tower sites have two receive antennas located at far ends of the sector’s platform, as seen in the photo to the right. The signals to be transmitted are multiplied by complex-valued precoding weights from standardized codebooks to form the antenna patterns with their beam-like main lobes and their nulls that can be directed toward sources of interference. The beamforming can be created, for example, by the UE PMI feedback pointing out the preferred precoder (fixed beam) to use when operating in the closed loop MIMO mode TM4. For more details, see the whitepaper available here. 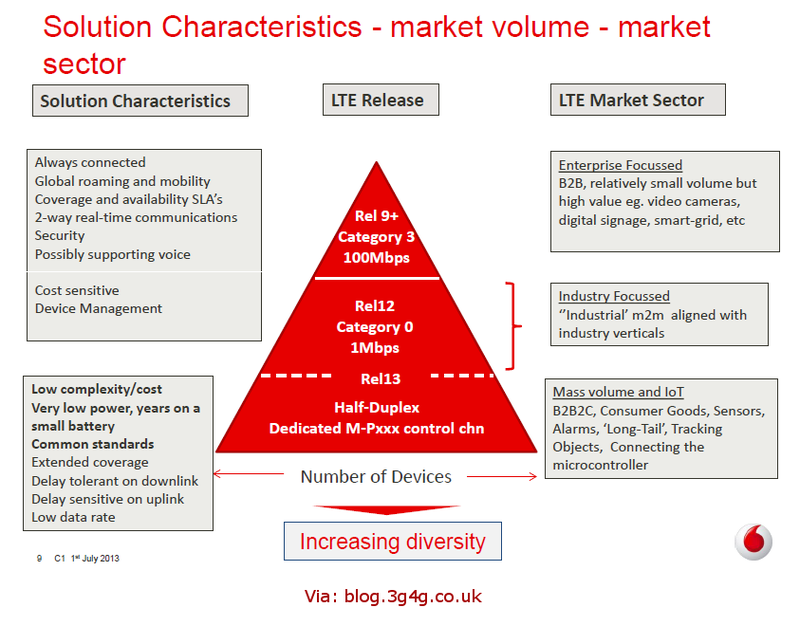 From another brilliant presentation by R&S from their LTE Summit 2013. 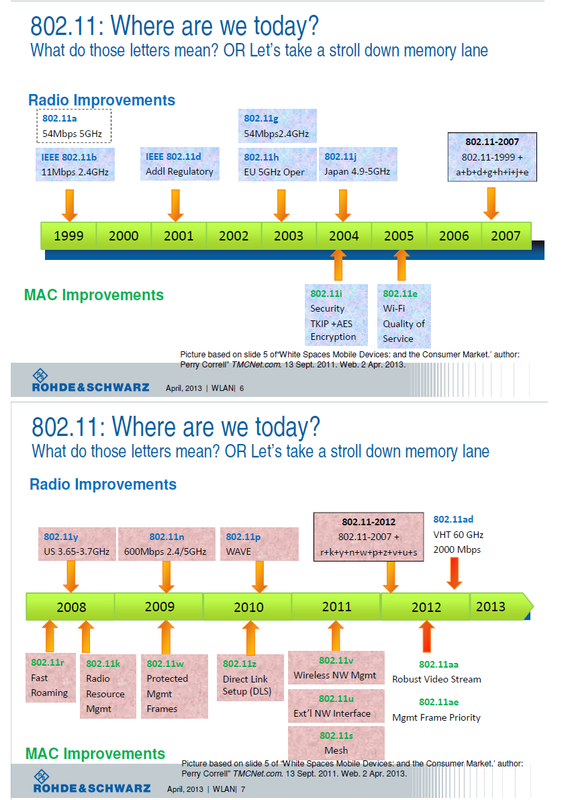 Last year I had a similar overview from Agilent here. This one is much more detailed on what's coming next for WiFi. 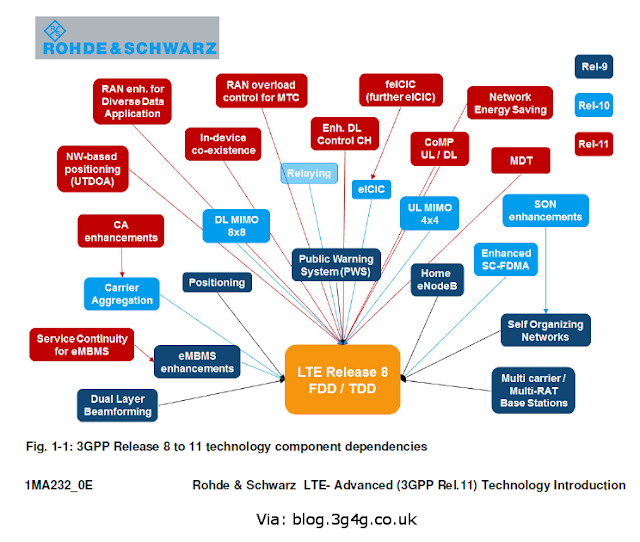 LTE Innovation Summit 2013 - Anandamoy Sen from Rohde & Schwarz on Vimeo. An interesting video on Introduction to M2M and its developments in LTE from Rohde&Schwarz LTE Innovation Summit 2013. The presentation is also embedded below and can be downloaded from Slideshare. An Interesting presentation from our Future of Wireless Conference (#FWIC2013) in Cambridge earlier this month. A question being asked is what technology will be used for Internet of Things (IoT) or Internet of Everything (IoE) as its also referred to nowadays. 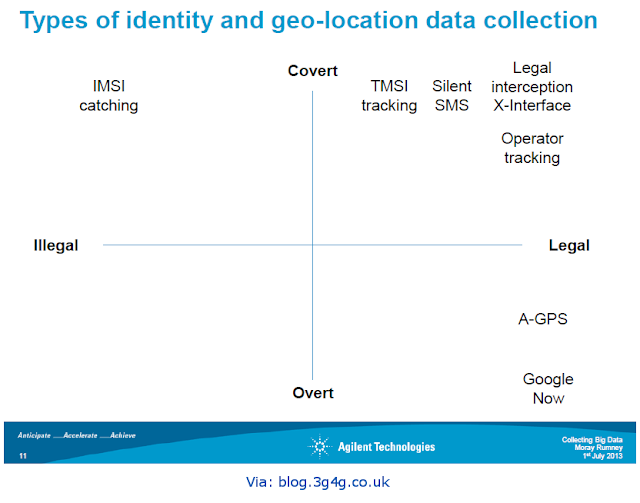 These 3 slides below summarises what technologies are see applicable to which scenarios. Complete slides are embedded below and if you like to see the video, its available here. The following presentation is by 3GPP in the not so long ago, Small Cells World Summit 2013. 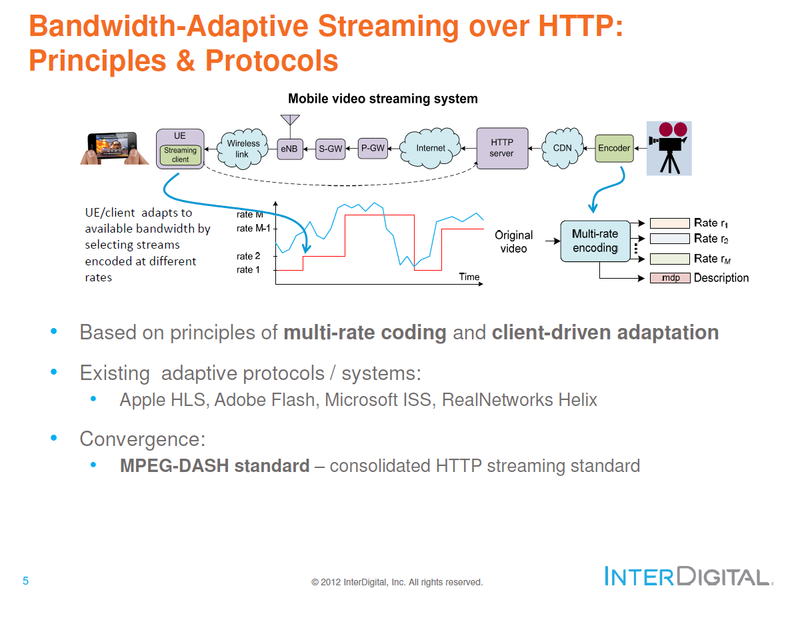 An Interdigital presentation from last year explains the principle of adaptive streaming very well for those who would not know how it worked. This process of adaptation could be improved based on the quality of coverage at any particular time. 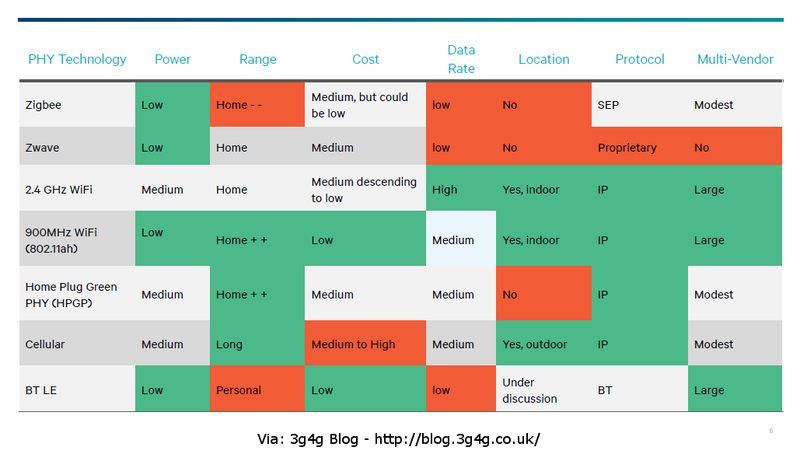 Interdigital are proposing a further enhancement of improving the adaptation further based on the User behaviour. 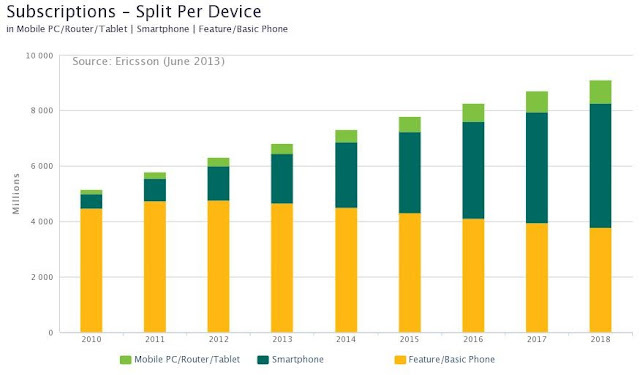 If for example the user is far away then the quality need not be great on the device. On the other hand if the user is very close-by, the quality should be as good as it can get. They have explained it in a whitepaper for whoever is interested here. 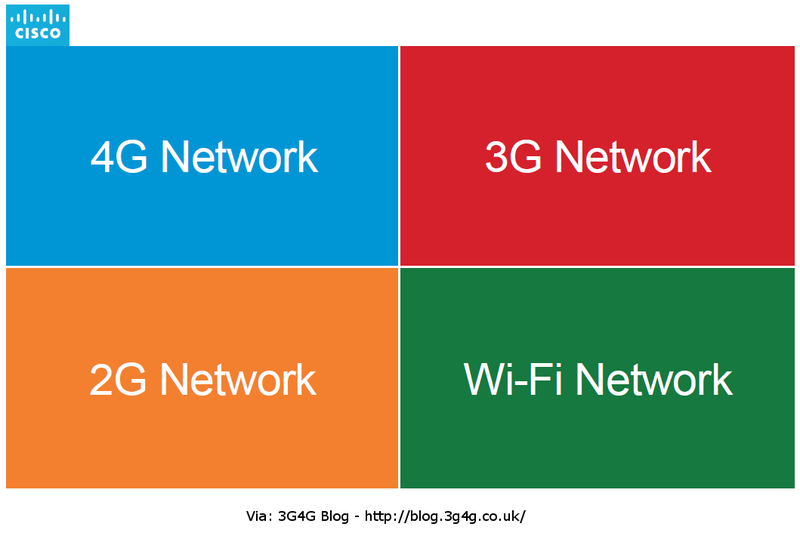 While LTE/LTE-A (or 4G) is being rolled out, there is already a talk about 5G. 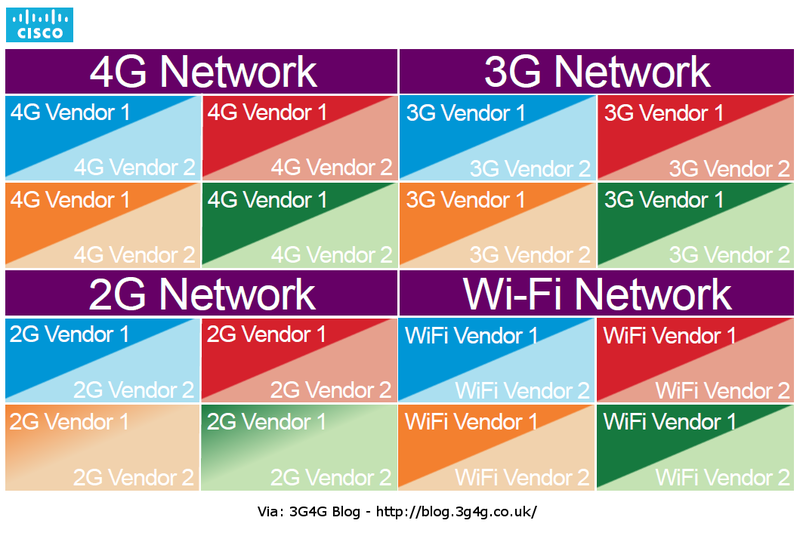 Last week in the LTE World Summit in Amsterdam, there was a whole track on what should 5G be without much technical details. Couple of months back Samsung had announced that they have reached 5G breakthrough. 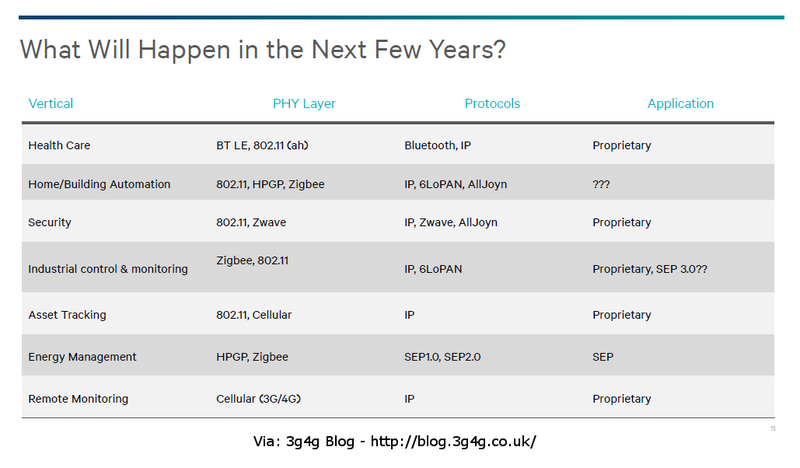 In my talk back in May, I had suggested that 5G would be an evolution on the Radio Access but the core will evolve just little. 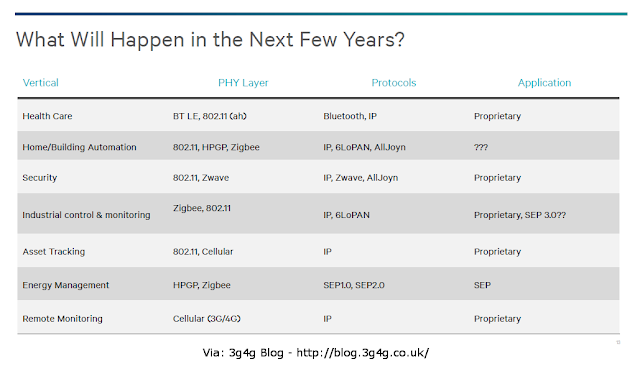 Anyway, its too early to speculate what the access technology for 5G would be.